What Is Hotel Butler Service? As hotels endeavor to provide the best possible service, they are trying to find the best way to give their guests exactly what they need. Often, it’s all about the little things. 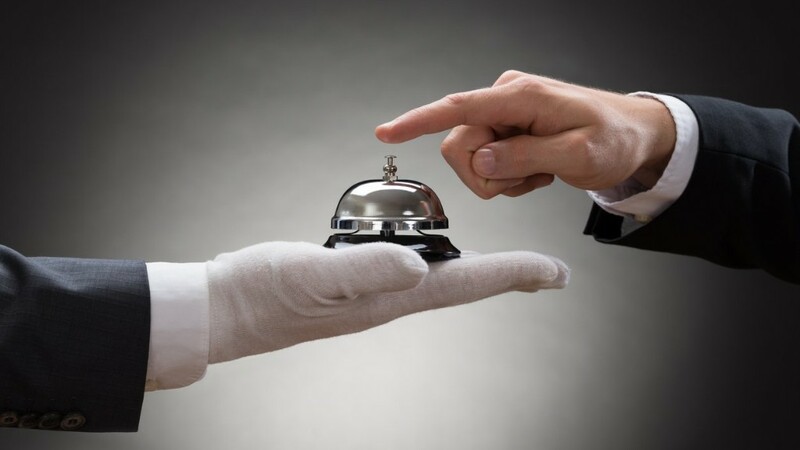 This is the primary concepts behind hotel butler service. Here is how hotel butler service works. What Does a Hotel Butler Do? A hotel butler does certain things for you that many people tend to do for themselves. For instance, you can get checked into the hotel while still inside your room. This can save you the time and effort you would usually expand while checking in at the front desk. The butler can also help you both unpack your luggage and pack your luggage. And instead of getting the robotic hotel wake-up call, a butler can give you a personalized phone call to wake you up in the morning. In addition, the butler can do things like iron your clothes or shine your shoes. However, there are some things that a butler can do for you that you may not have done for yourself or maybe may not have even thought about. For instance, a butler can welcome you into your suite. This can be a nice way to enter your room after a long, tiring trip. It’s also always comforting to see a warm smiling face. A butler can also bring you a daily serving of food that is meant to make you feel more welcome. Or if you would like to have something special, like a fruit basket, a butler can also provide that. You only get to pamper yourself every now and then. Doing so using a hotel butler can give your trip just the little extra bit of comfort you need in order for it to really feel like a vacation. Many of us spend a lot of time working for other people. This can get tiring after a while even though you might make a good amount of money doing it. Opting for hotel butler service gives you the chance to have somebody serve you instead. Even though it may feel self-indulgent to do so, it really isn’t. It makes your vacation more comfortable, and it helps support the butler who serves you. Having a butler while you stay at a hotel, can also help you make your stay more efficient and productive. There are some things you have to do that you simply may not have the time to do on your own. For instance, if you have an important meeting or an important date, and your shoes actually do need shining, having this done for you can free you up to do something else. Or if you do not have enough time to get a full breakfast, having a food basket brought to your room can be a convenient way to get the day started off right. Regardless of why you choose to have butler service at a hotel, the objective is to have a nice, relaxing time. Either way, it is good form to give your butler a tip to express your appreciation for the little (or big) ways he or she made your trip more enjoyable.